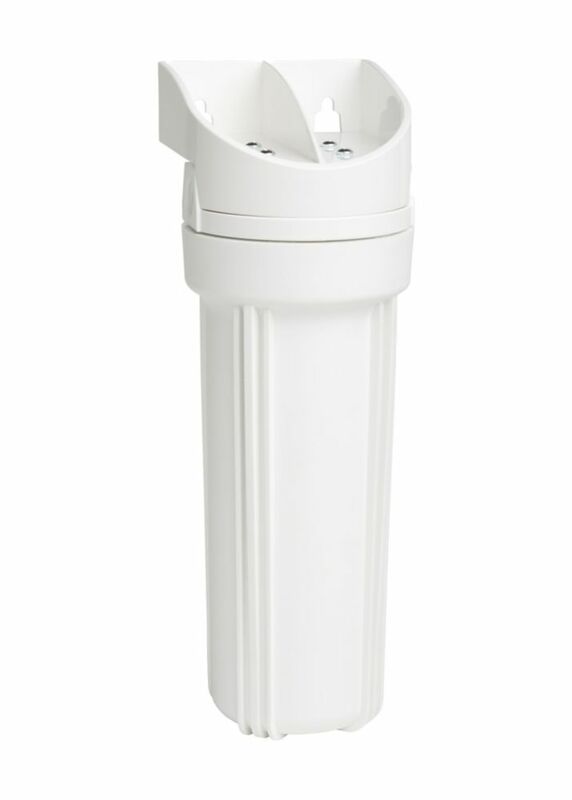 Universal Undersink Filtration System EcoPure's universal under sink system is a reliable, cost-effective option for clean drinking water from both municipal and well water sources. This system's universal design is compatible with EcoPure universal undersink filters EPW2C, EPW2F, EPU2C, and EPU2L and all major brands of undersink drop-in-style replacement filters. Once you've selected the perfect filter, regularly replacing them is easy, thanks to this system's integrated mounting bracket. Universal Undersink Filtration System is rated 4.0 out of 5 by 26. Rated 5 out of 5 by DavidT from Easy to assemble and works great. Easy to assemble and works great. Rated 2 out of 5 by Roger from Installing filter is easy. I chose this brand because... Installing filter is easy. I chose this brand because the fittings are standard threaded pipe as opposed to the more common “snap-in” or “John guest” type fittings. This filter however has excessive pressure drop as the exit presure is very weak compared to the inlet pressure. Rated 5 out of 5 by HS from I placed the filter under the sink and connected it... I placed the filter under the sink and connected it to a drinking water faucet. It was inexpensive and uses a wide variety of cartridges. However plumbing adds to the cost. The flow rate is outstanding. Rated 1 out of 5 by Annoyed from Can’t install because HD doesn’t sell the parts This is an HD exclusive product; which means you can only buy it at HD. Get this. HD doesn’t sell the parts you need to install it!! You need two male 3/8” NPT fittings. Nowhere to be found anywhere in HD. Don’t waste your time. Rated 4 out of 5 by Joe from Could use a stronger mounting. Otherwise, nice unit for the... Could use a stronger mounting. Otherwise, nice unit for the price. Rated 5 out of 5 by Adrian from Still working good after 2 weeks of use. Was a little tricky to plumb up but the Home Depot department head helped me get the right parts. I install mine to run through a separate cold water "bar" faucet since running the main cold water through it could cause flow issues. It was cloudy at first because of air bubbles but it did settle down after a day. I used the HCXCTF5 filter (sold separately) and it has removed all chlorine taste and taken the edge of the iron in the water. I'm very pleased. Rated 1 out of 5 by alexinquest from Poor performance This filter has decent flow but,... Poor performance when used with HCXLTF5 filter (the more expensive one available at (homedepot) for filtering out chlorine taste . Water literally still comes out milky out of it This was not the case with the simple on the tap brita filter we used for years. Not recommended.